Last month I wrote a post about Eric Liddell after reading a fascinating article about the long-term affects of 19th century Christian missionary activity and the phenomenal growth of Christianity in China. I hadn’t intended to write about Hudson Taylor—mostly, I suppose, because he is already so famous and I’d thought to cover some less familiar names. But it’s a funny thing. When looking into other late-19th century missionaries and church leaders, it almost feels like all roads lead back to Taylor. You know the “six degrees of separation” game? Well, name anyone in a Who’s Who of 19th century Christianity, and you’ll find a connection to Taylor. Charles Spurgeon? Friend of his. Dwight L. Moody? Taylor preached in his church. George Muller? Wrote Taylor letters that exist to this day. And then there was an entire generation of missionaries inspired by his passion for missions as he traveled about Britain and America on various furloughs: Amy Carmichael (India), CT Studd (China), and Thomas Barnardo (slums of London), to name just a few among hundreds of others, many of whom followed him to China. 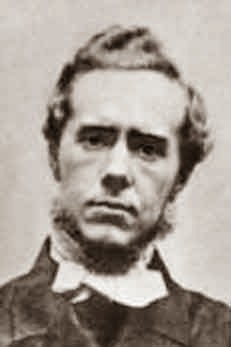 James Hudson Taylor was born in England May 21, 1832 to a Methodist lay minister with a heart for the Chinese people. Mr. Taylor prayed that God would grant him a son who would be a witness to the Chinese. Hudson turned away from God in his youth, but a Christian pamphlet changed his life at 17. Almost immediately he began studying medicine and languages to use in missions work among the Chinese. He arrived in China at age 21. In China, Hudson Taylor adopted local dress and demonstrated respect for the local culture. He tried to resolve disputes by appealing to local (Chinese) officials rather than taking complaints to British consuls. His love and respect for the Chinese were influential in reaching the people of that land for Christ. Taylor was to travel back-and-forth between China and various furloughs in Britain and North America a total of eleven times, an impressive feat in a time before airline travel. He used his breaks to write books/pamphets and to speak before groups. It was on his first stay back in England (1860-1866) that he founded the China Inland Mission with the goal of evangelizing the interior of China. The CIM was interdenominational (Taylor himself had a Methodist upbringing, was a member of a Baptist church, and had close ties with the Brethren), accepted single women to work in the mission field, and (like contemporary George Muller) did not solicit for funds. And like Taylor, missionaries were encouraged to adopt local dress and customs. A year after Maria’s death Taylor married one of the single-lady missionaries with the CIM, Jane (Jennie) Faulding. They had two surviving children in addition to the two they lost at birth. Hudson and Jennie Taylor finally retired to Switzerland in 1900. She lived another four years, then passed away from breast cancer. For Taylor, the lure of China remained strong until the end of his life. He made his eleventh—and final—journey in 1905 and died two months after his arrival. He was buried next to Maria. The saga of the Taylor gravesites parallels the story of Christianity in China during the 20th century and is worthy of its own special mention. During the Cultural Revolution when Mao sought to remove all foreign and religious influences in China, the “Foreign Cemetery” home to the Taylor gravesites was supposedly destroyed and a warehouse built over the site. But as China began to re-open following Mao’s death, Taylor artifacts turned up. First the gravestone for Hudson Taylor and then the one for Maria. In 2013, the government ripped down the warehouse and sold the land to developers. An archeologist pinpointed the location of the Taylors’ graves—still intact despite the destruction of most of the other graves, and their bodies were moved to a (new) nearby church. He is a legend. Fascinating. I really need to check into my ancestors. Hudson is an ancestral name on my dad's side of the family and many of those relatives were in the ministry of the Methodist church. We had a period at church where we were reading a lot of missionary stories. You're making me want to get back to them again. thanks! Deb, his mother's maiden name was Hudson, so it's possible there's a connection... somewhere. Hey, I did say you could play "six degrees" with him and find a link! My homeschool catalogue lists an entire series of books about missionaries. I think they were written at middle grade or high school level. I can hunt down the name of the publisher if you're interested. These stories are so inspiring and so convicting at the same time! They endured so much, and had such faith to believe that they could make a difference in the world. Thanks for sharing, C.J. Niki, I'm such a soft, comfortable American. I can't imagine going away for years--possibly even for the rest of my life. If a family member back home passed away, you wouldn't find out for months. Me too. Remember the song "Please Don't Send Me to Africa?" from the early '90s? Every time I read a missionary story that tune pops in my head. Since I started digging into the Draper Family genealogy, I seem to be running into Methodist preachers wherever I turn. No, you didn't mention anyone from our family tree, but your post is very interesting nonetheless - especially about the Taylor graves.